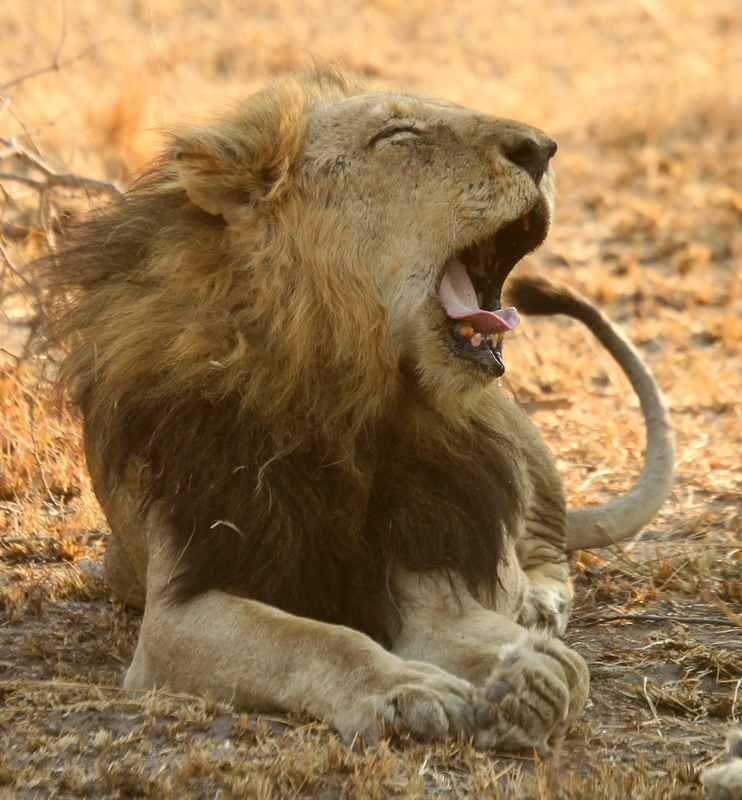 You may never heard of the Mapogo Male Lion Coalition of the Sabi Sands. 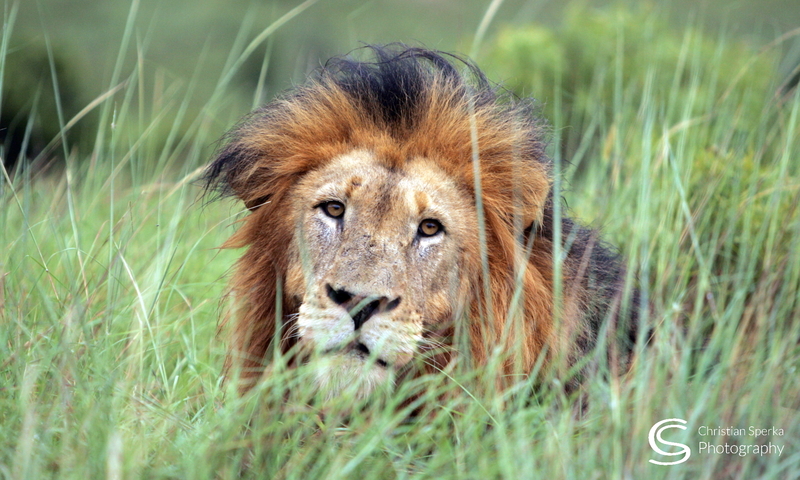 For years a six male coalition “ruled” the Lion prides in the Sabi Sands. Two of these (now ten year old) Lions are still alive. Today we found and walked these two legendary males. We took a direct approach in which we made sure that the Lions knew we were there. The picture above was taken during the encounter. We approached to about 50 meters (~ 130 feet) when one of the Lions showed some sign of “dis-comfort” with our presence. We extracted slowly (and safely) from the sighting. It was one of the most exciting things I ever done in my life! We then went back and viewed them from our game viewer. In the last few days we completed walks 6,7,8 and 9. This makes it now 49 km (= 31 miles) and 28 hours walking in the bush during the last week. 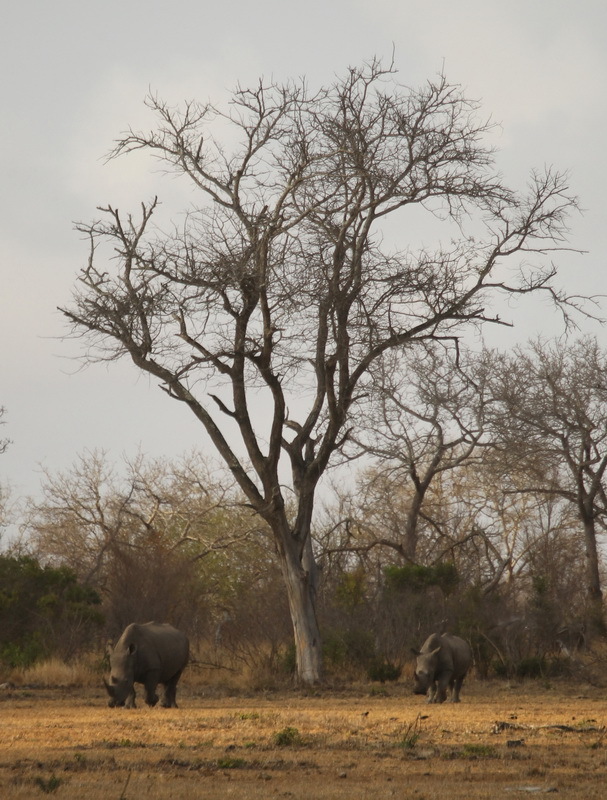 The two pictures below are sightings of White Rhino and Buffalo on foot. PS: If you like to know more about the Trails Guiding Course go to http://www.africanaturetraining.co.za. A great experience, even if you do it for fun and not for professional reasons. How very exciting for you! Thanks for the information and great photos! Sounds like your having a great adventure. I’m sure you were excited to view these legendary males in thier natural habitat, most only get to read about them. Thanks for the link to the story,very interesting reading.Have A Great Day!! Wow – that must have been exciting! I’ve never come that close on a walk, I’m sure I would’ve stayed a bit back…Great reporting from your training. Thanks! Its awesome to see your blog….Von and I will be there for two weeks doing our FGASA practical / exams at the end of September….. I see you said don’t take an SLR…..I was thinking of the 1D Mkiv + 70mm-200mm plus 2x converter….Not too bad around the neck….What do you think? Hello Tim – Thanks for your comments – Sounds great about your exams. All the best. But I have my cameras/lenses with me in the camp (just in case!). The setup you suggest sounds great (but I would not want to walk with it :-). Christian , nice blog , good to read . The 2 remaining Mapogo males are far much older . 14 years and the other 12 years old . Can you help us with the location , where you spot these boys ? Wow! What an amazing experience!! Thanks so much for sharing! Great way to start this blog. I’m a big fan of the Mapogo’s. Makhulu and Pretty Boy are actually 14 and 12 yo right now. Thanks for sharing! Thanks for your comments. I should have said “over 10 years old” and thanks for the details. Sorry about that – I should have written over 10 years old. Thanks for the details! Next PostNext Trails and Rifles!